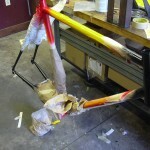 You are currently browsing the Bullwhip blog archives for July, 2009. 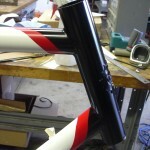 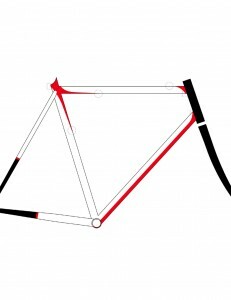 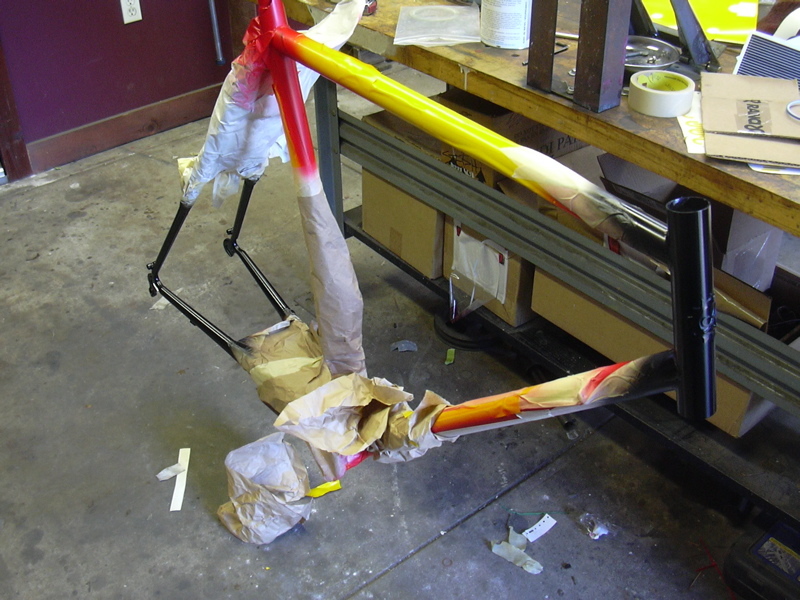 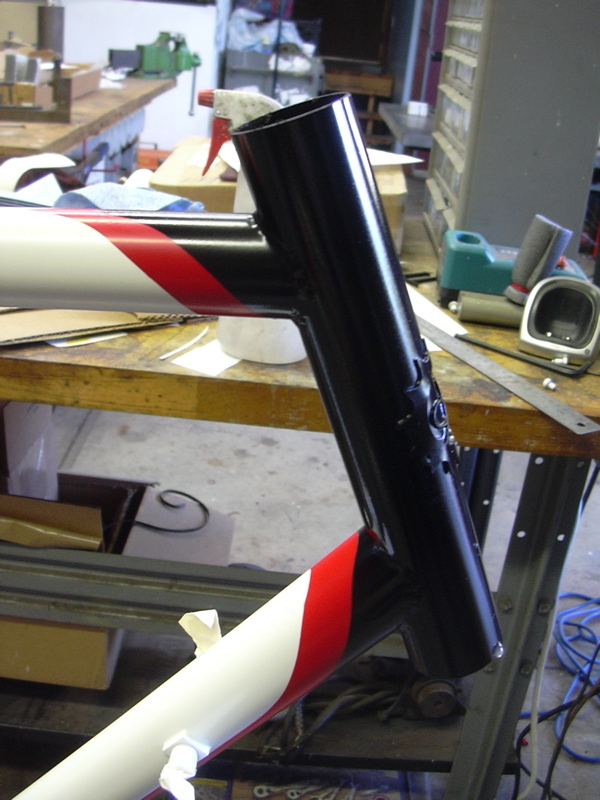 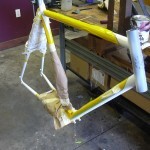 So Jen’s 26″ world-tourer just went out; she’s building it up in Milwaukee and striking out to the west. 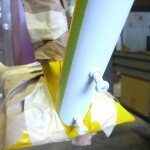 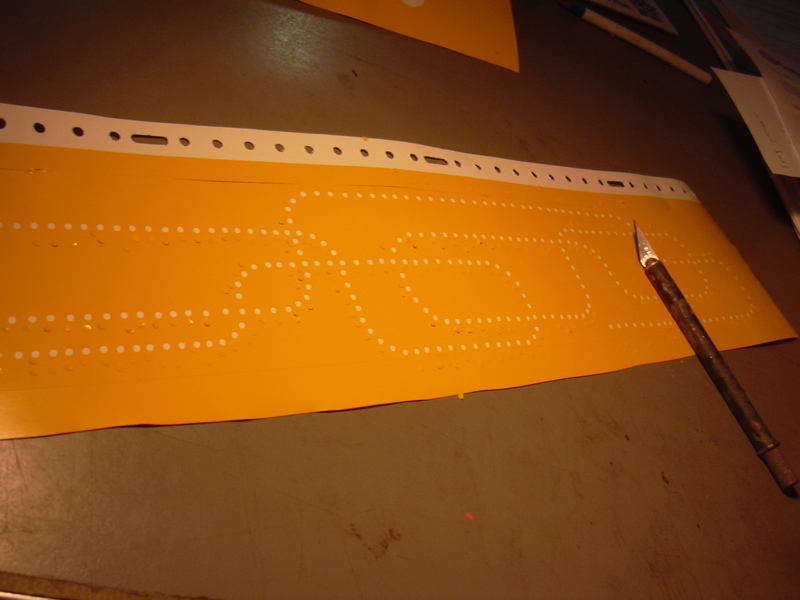 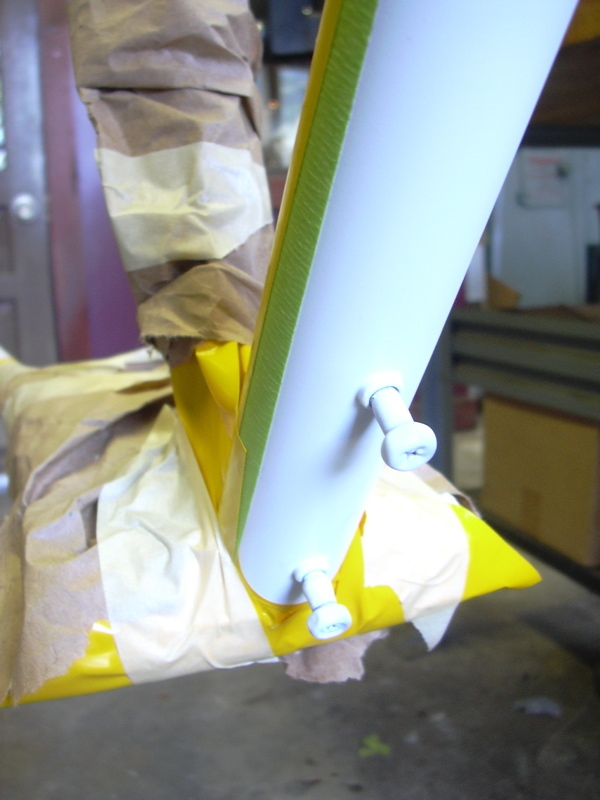 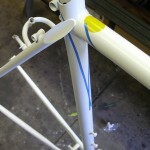 It was an interesting and novel paint job, so that means – you guessed it – it’s time for another ANATOMY OF A PAINT JOB! 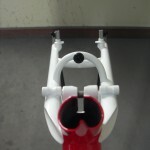 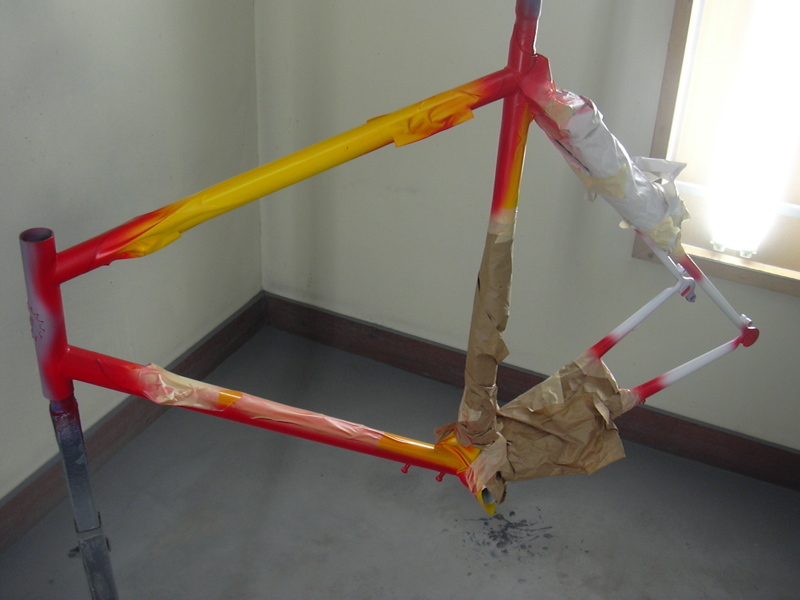 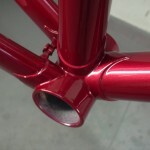 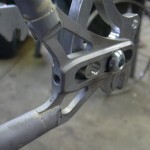 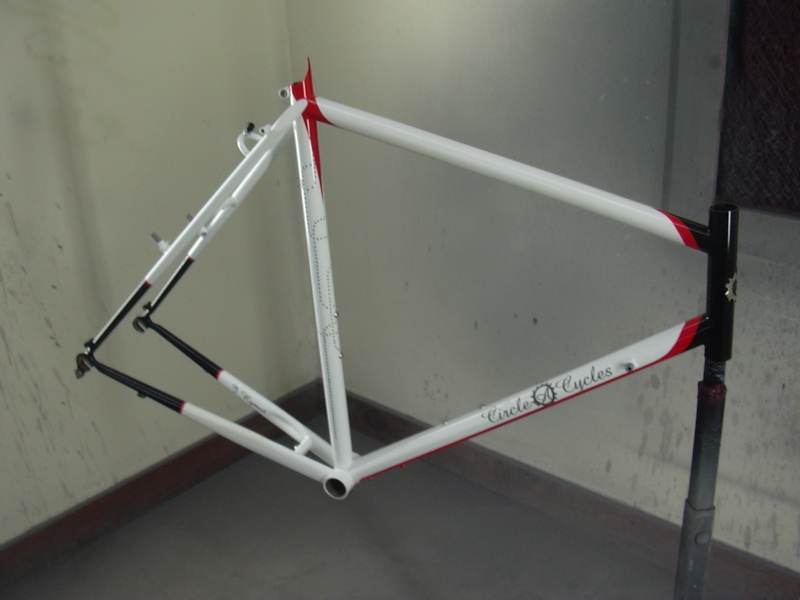 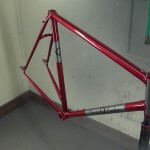 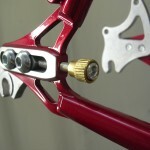 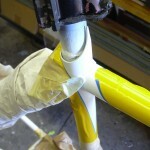 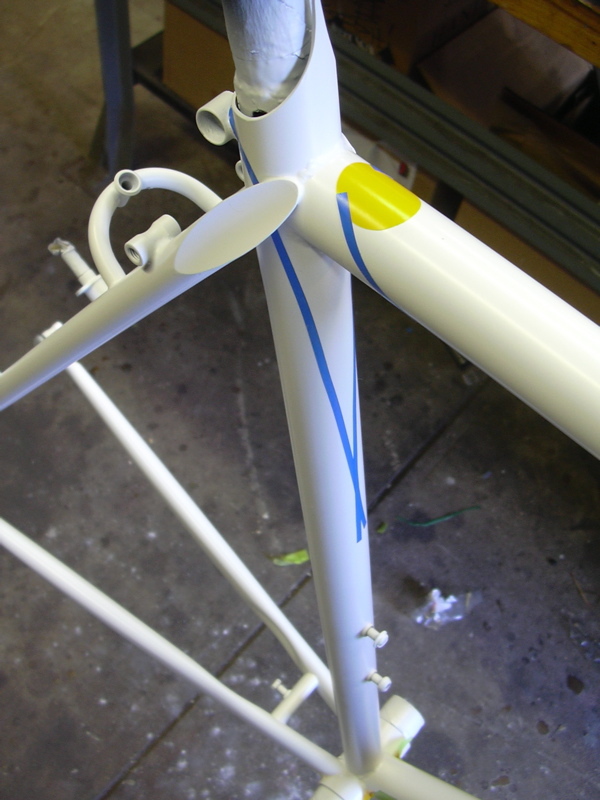 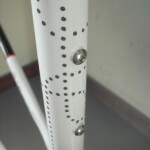 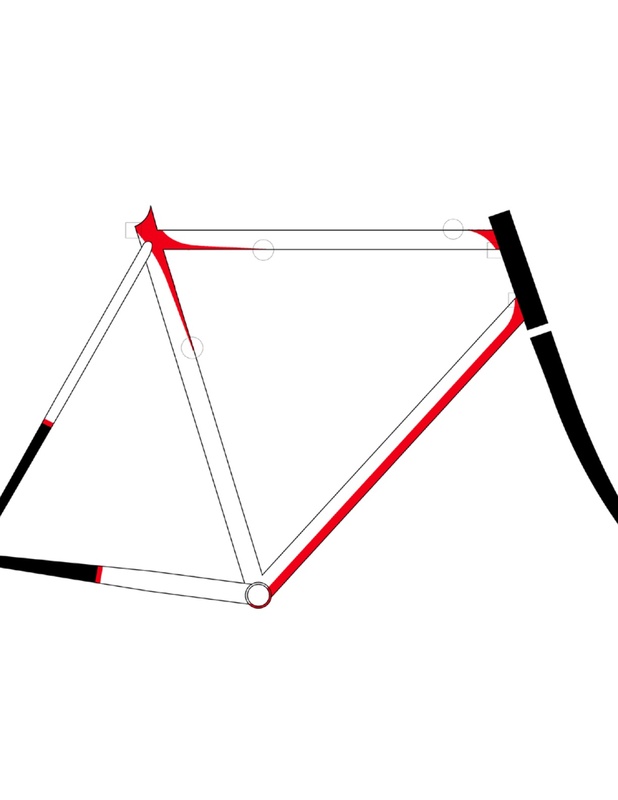 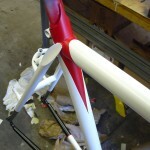 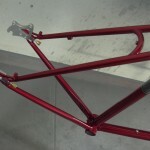 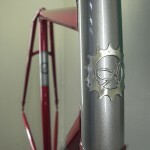 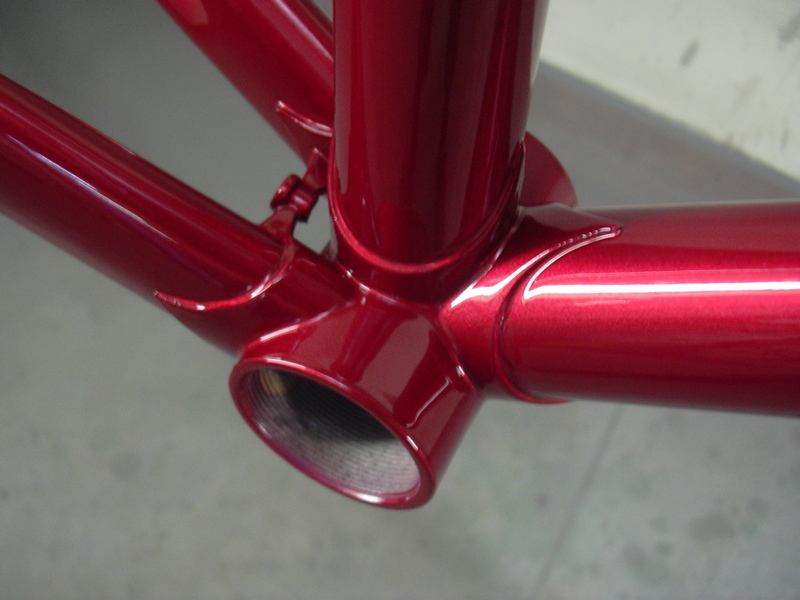 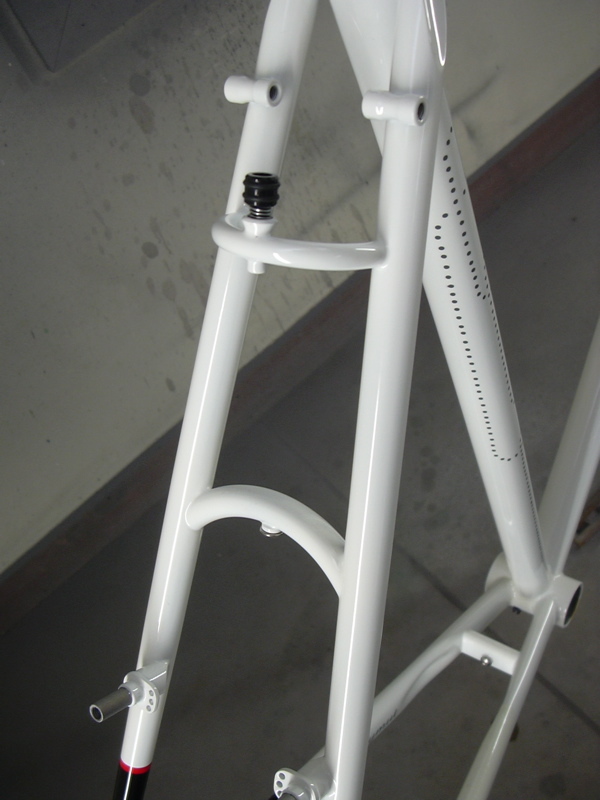 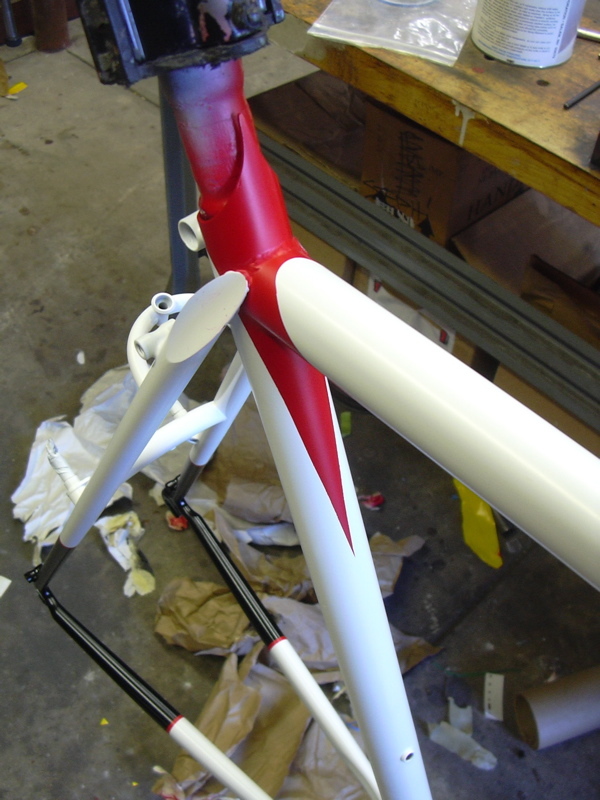 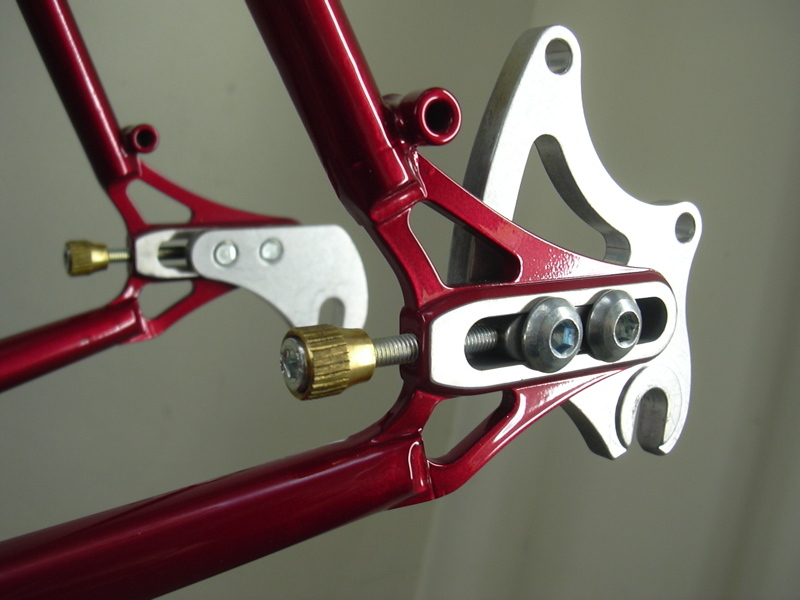 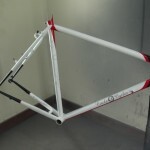 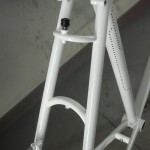 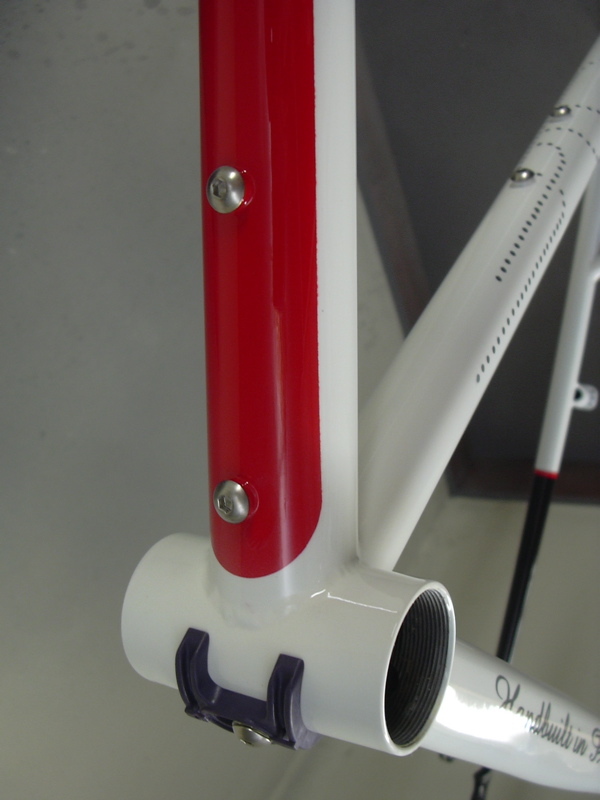 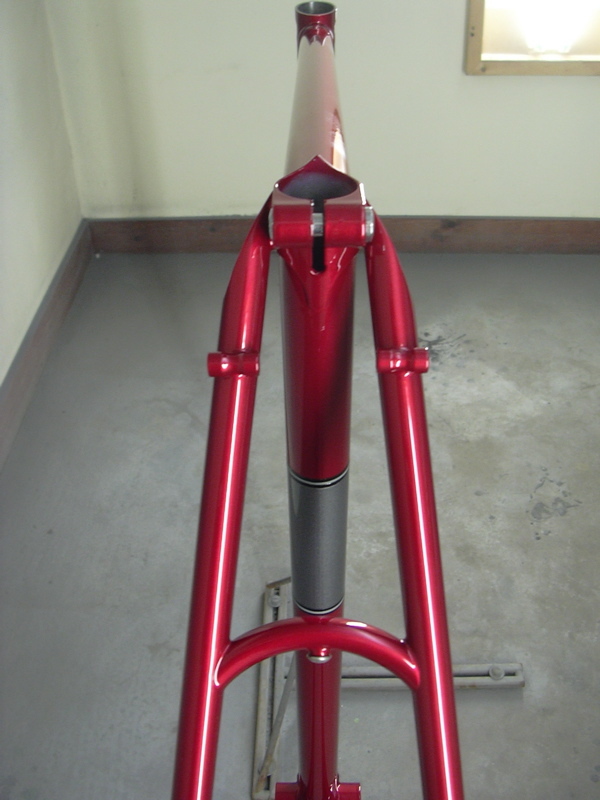 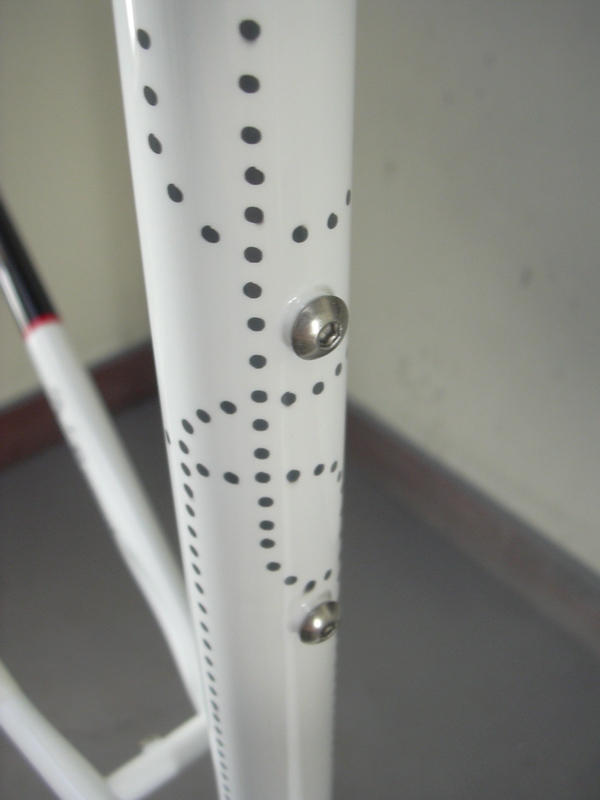 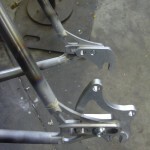 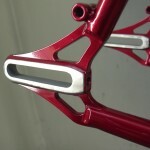 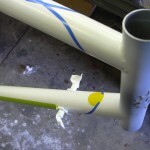 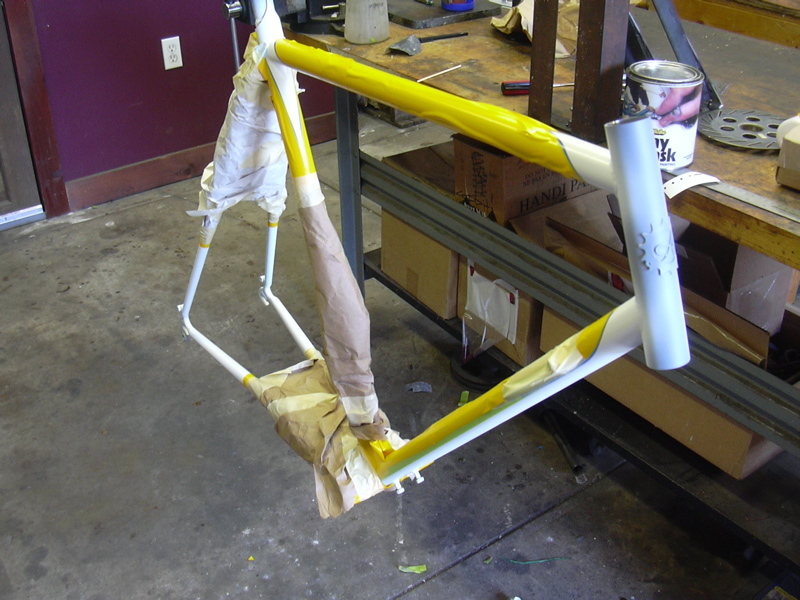 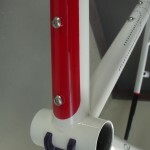 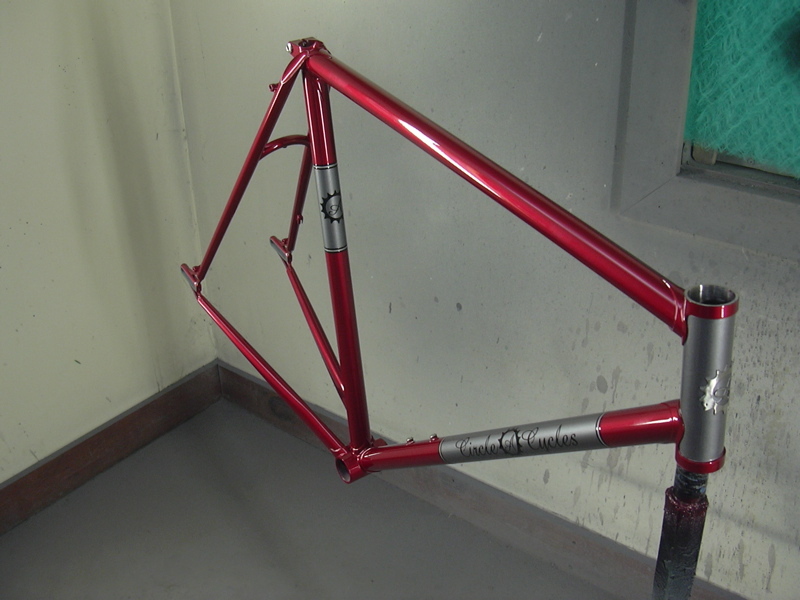 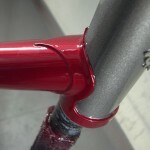 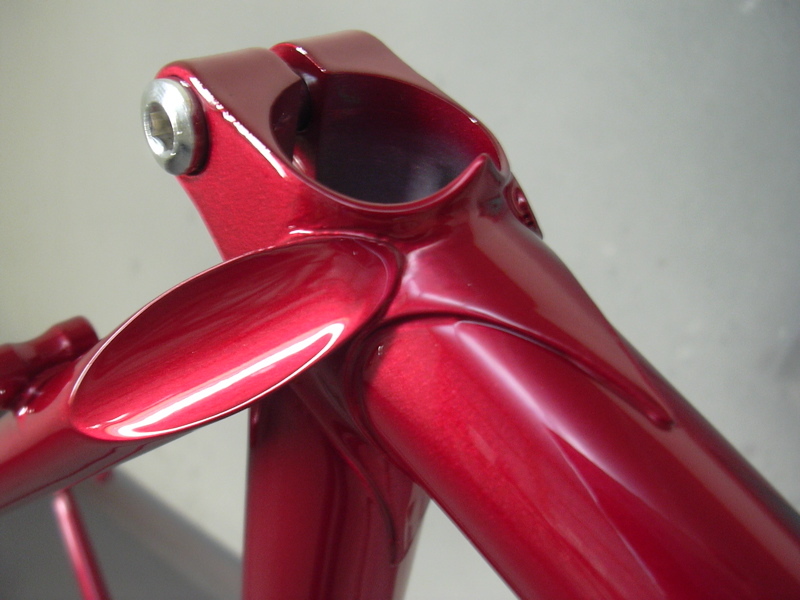 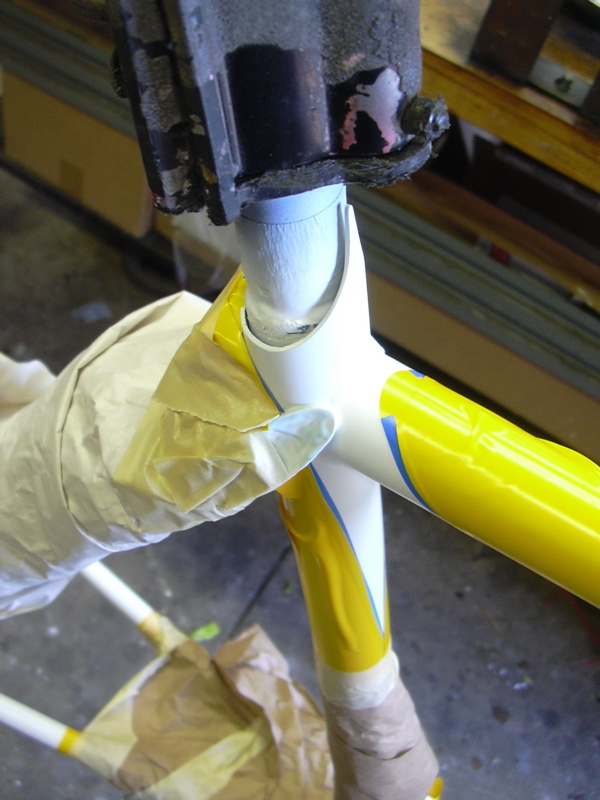 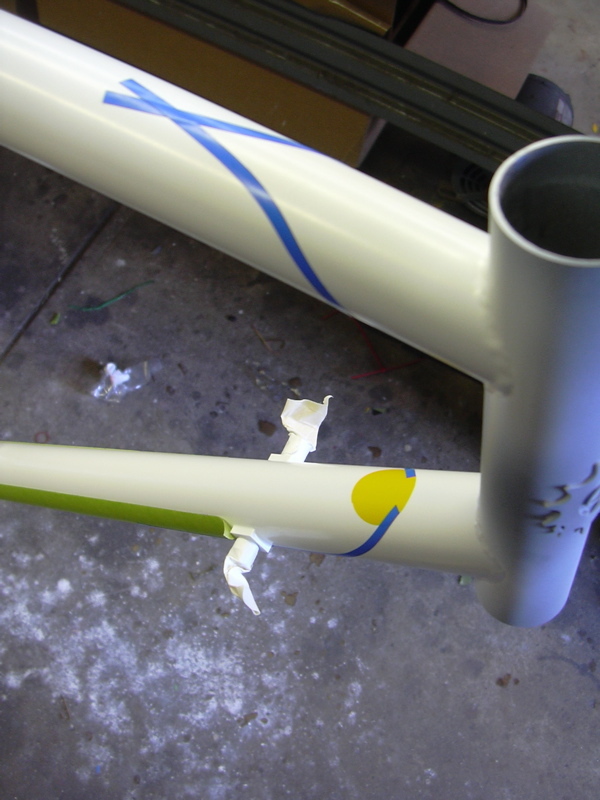 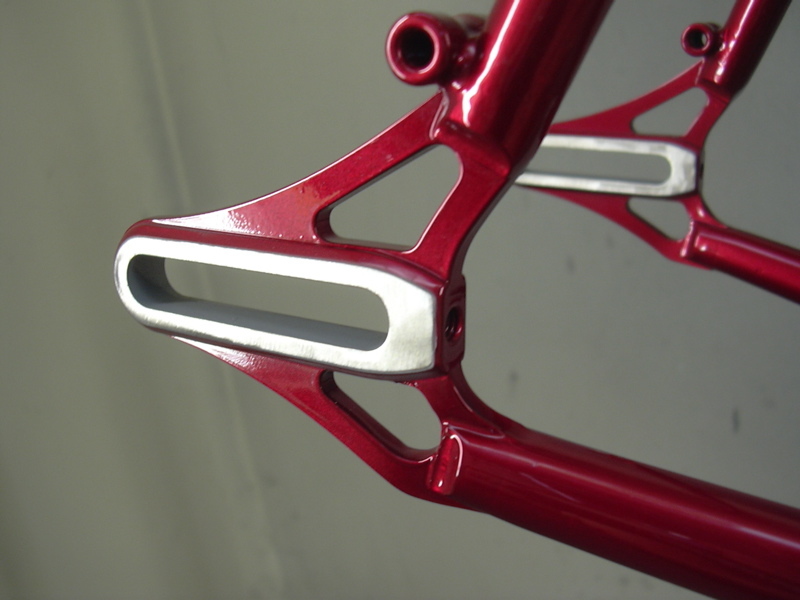 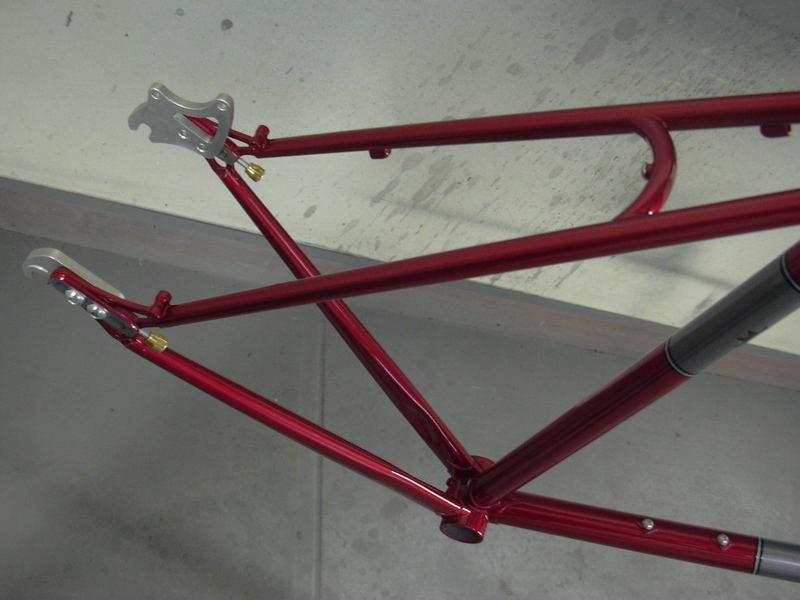 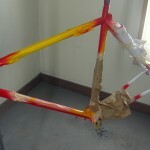 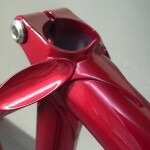 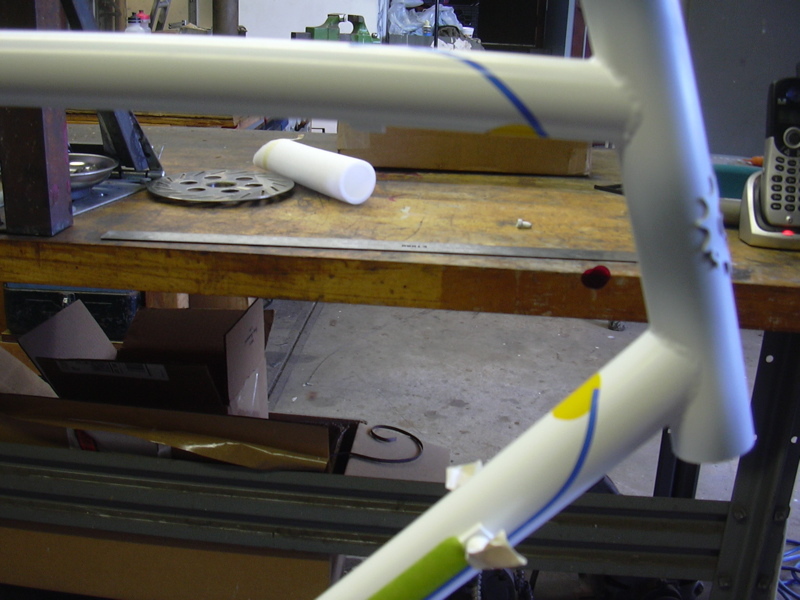 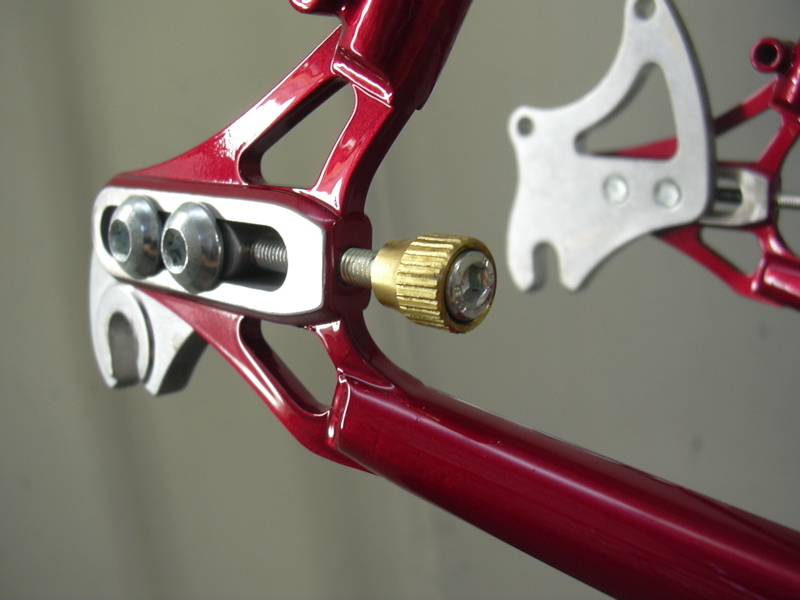 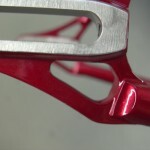 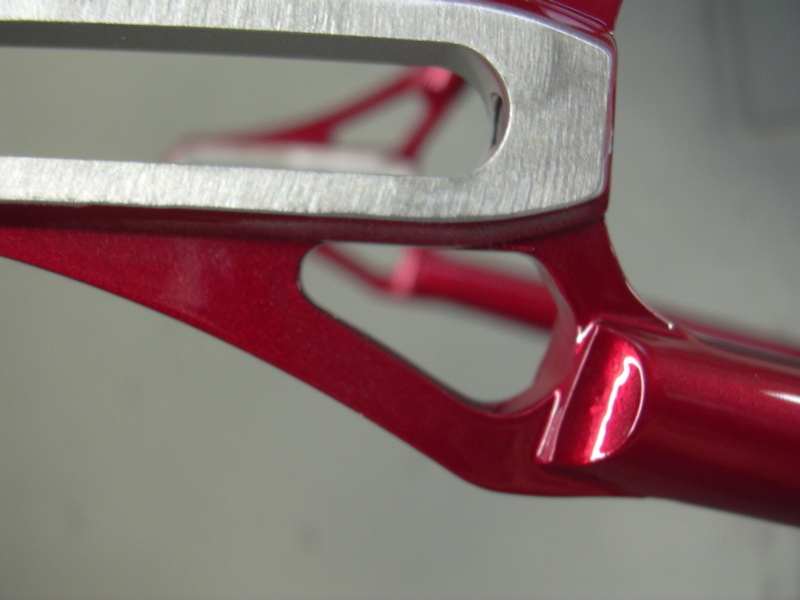 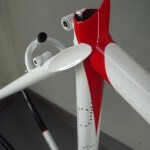 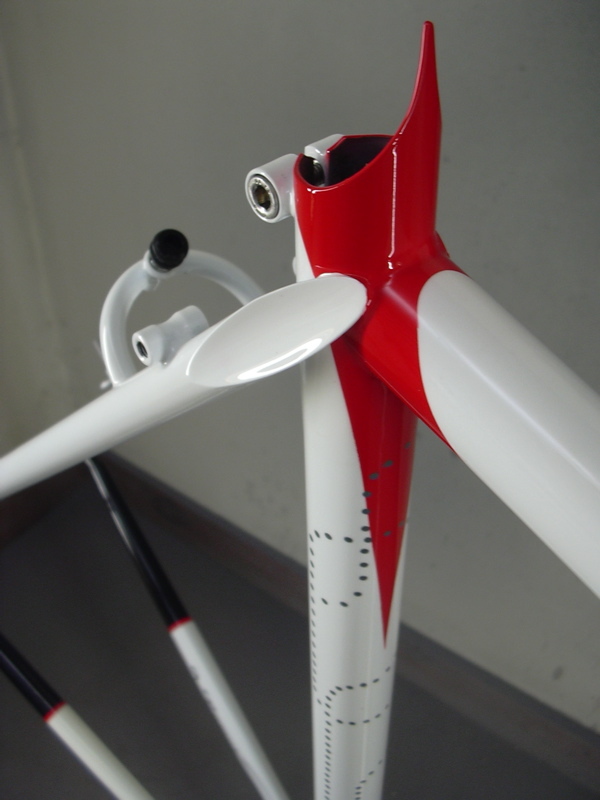 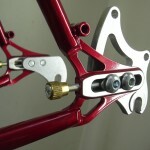 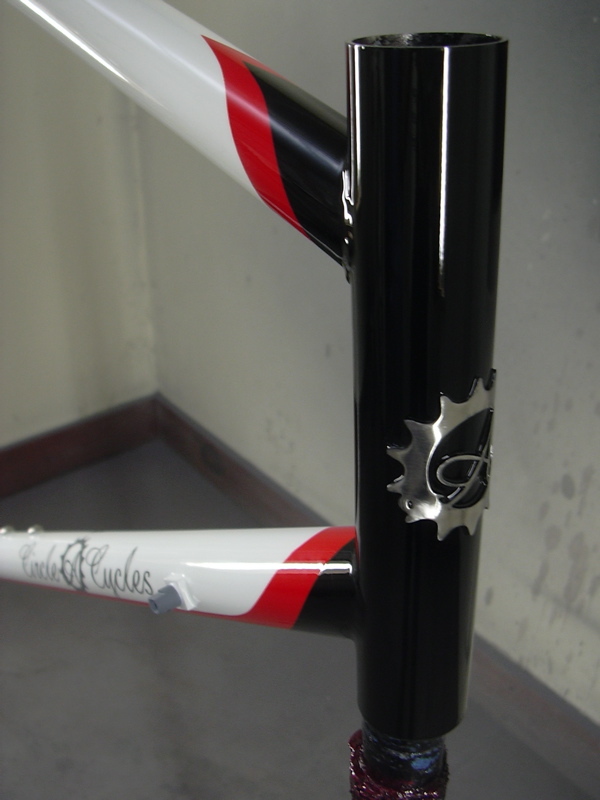 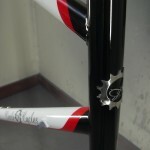 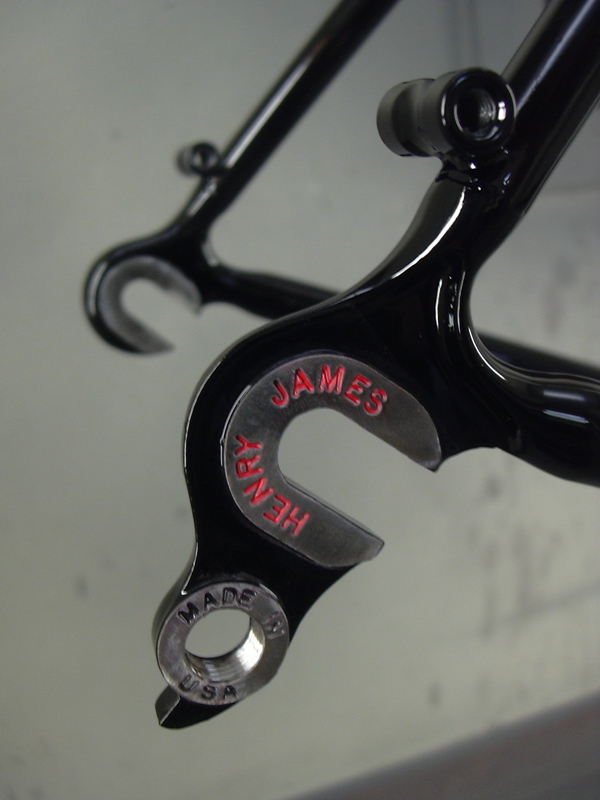 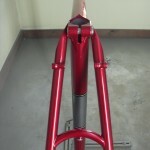 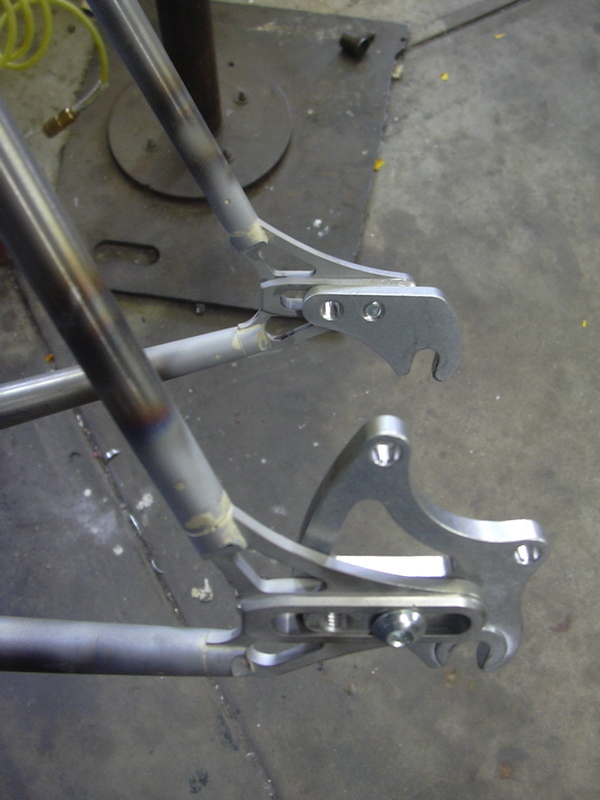 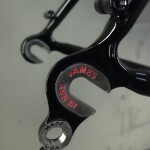 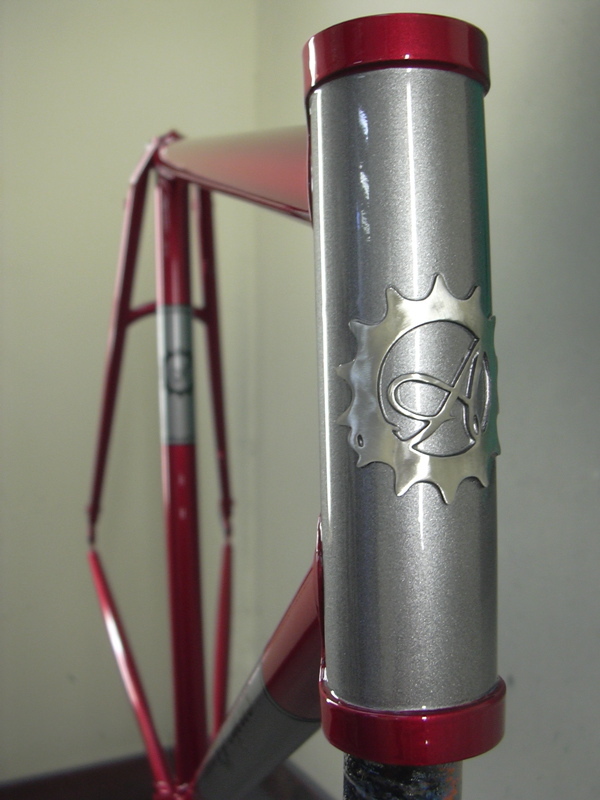 I also just finished painting a disc-brake single speed frame for Jascha. 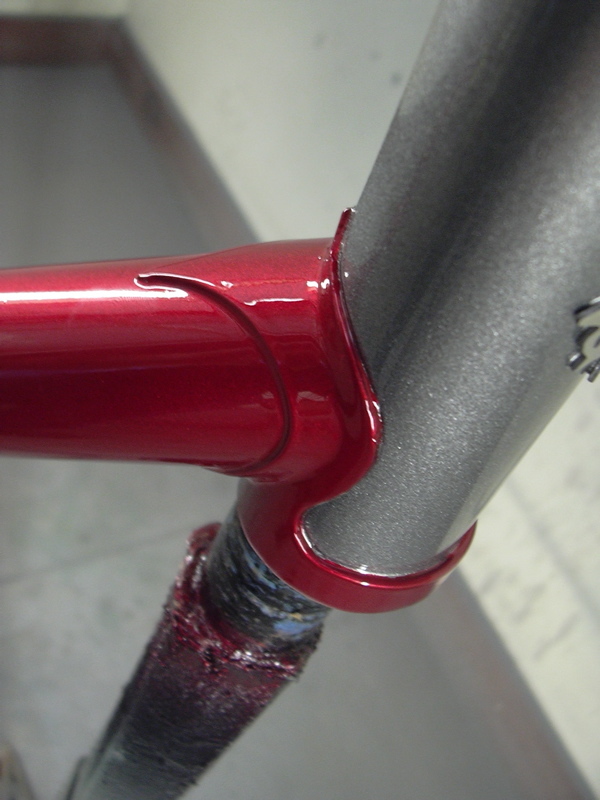 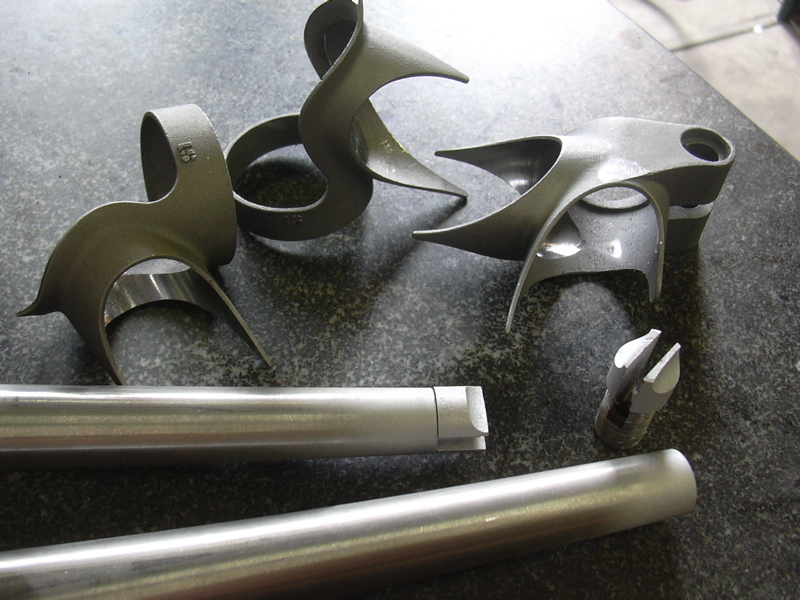 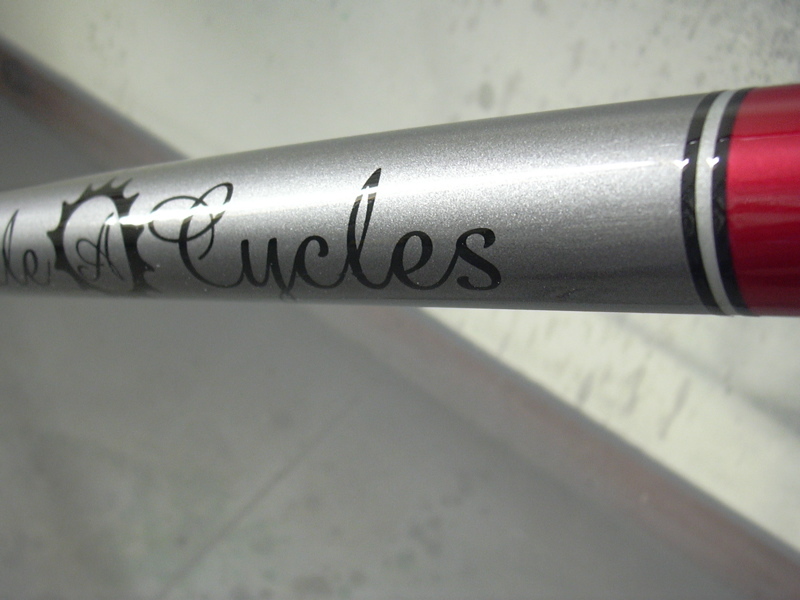 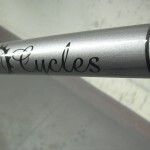 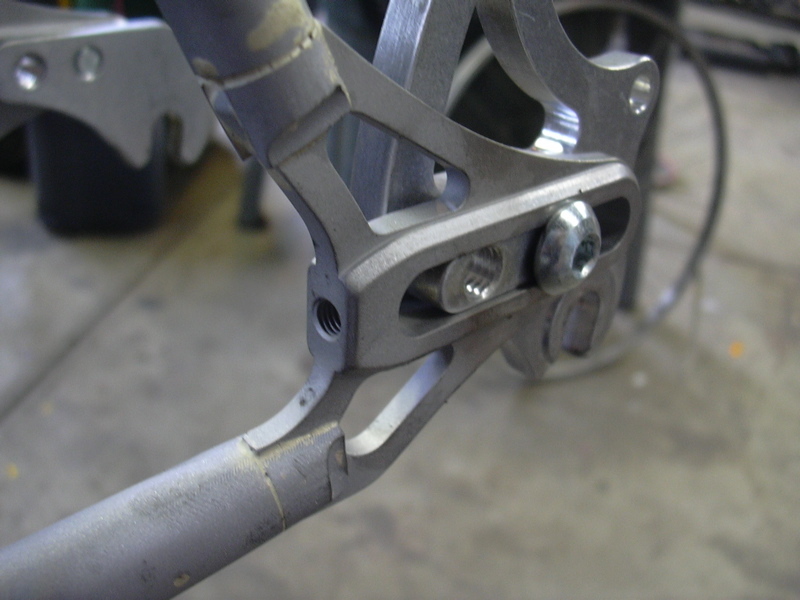 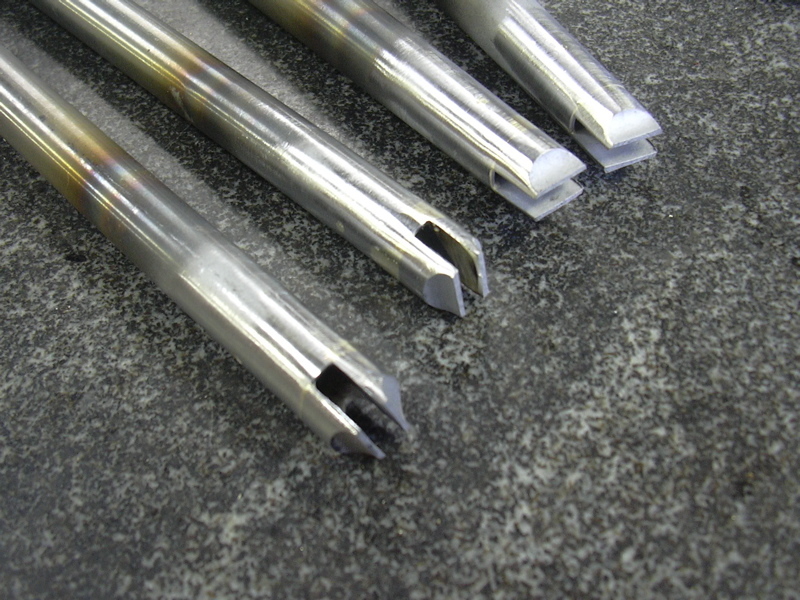 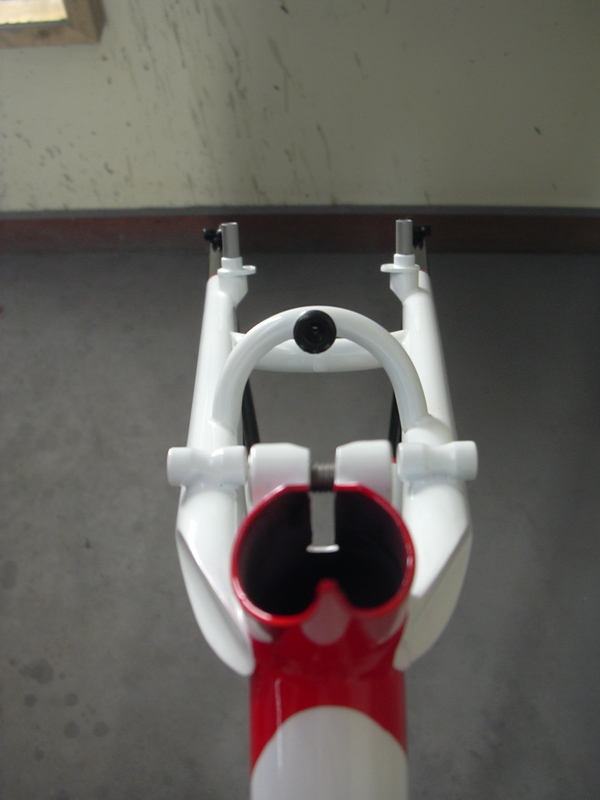 He’ll be using a Civia disc brake fork; this has a 1 1/8″ steerer so we had to use lugs that would allow for the super-oversized headtube. 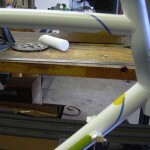 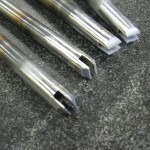 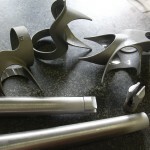 Next: Parts for Jascha, and Mo’s road bike!